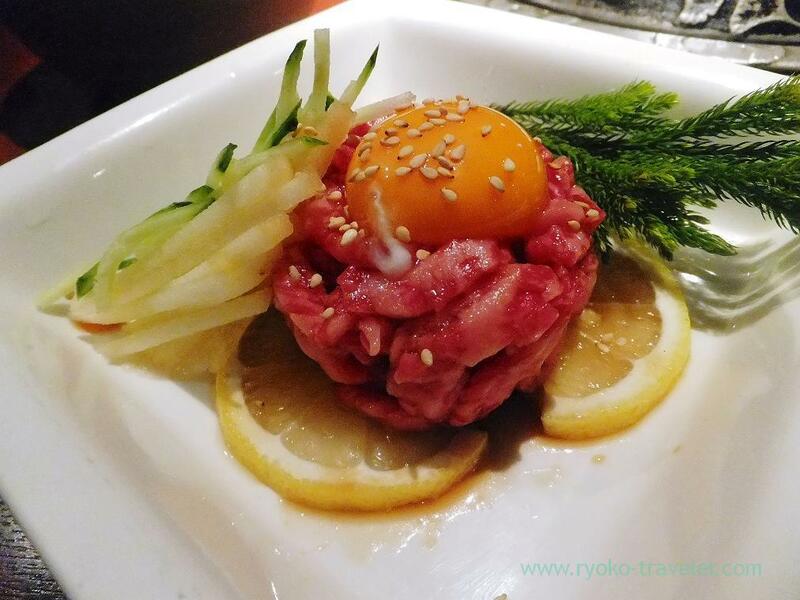 Monjiro will be our regular yakiniku spot ! 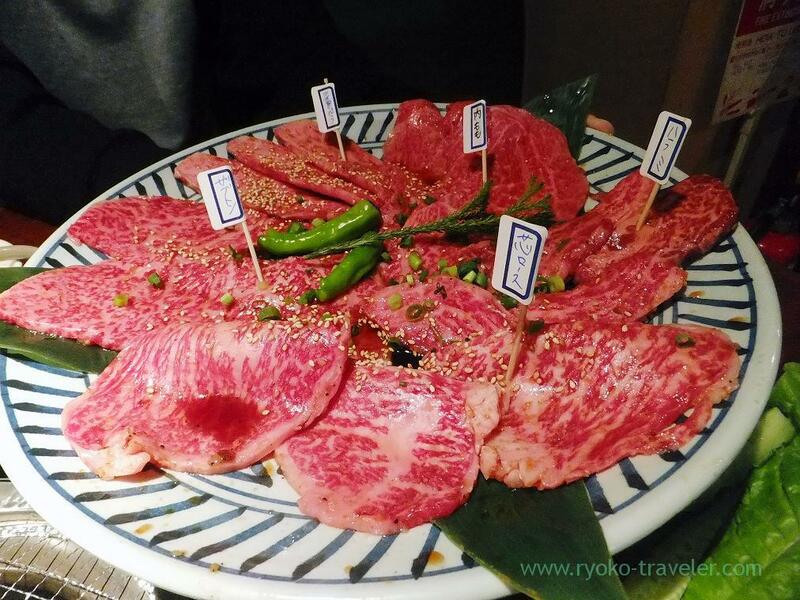 We went to yakiniku restaurant that is recommended by our acquaintance. 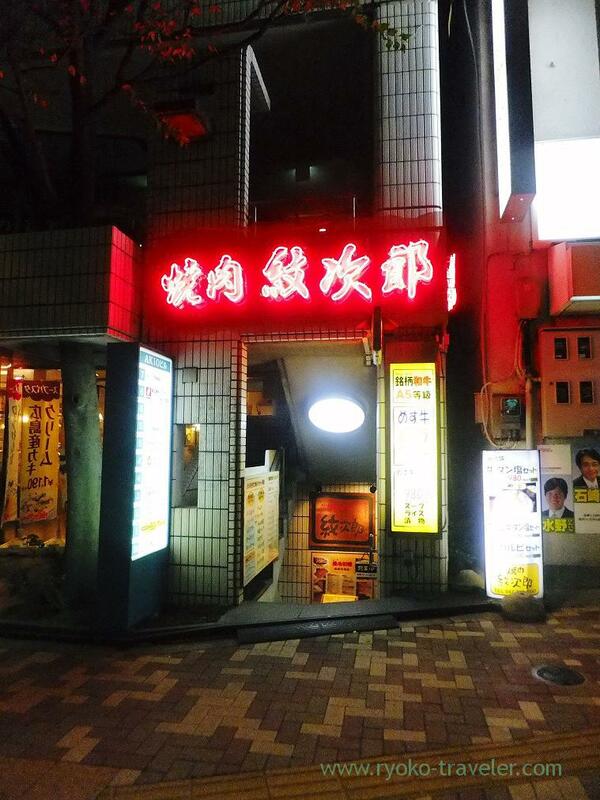 It is under the ground of the small building and it seems to be an old family restaurant. The sofas and the walls were broken partially. I was a little anxious. 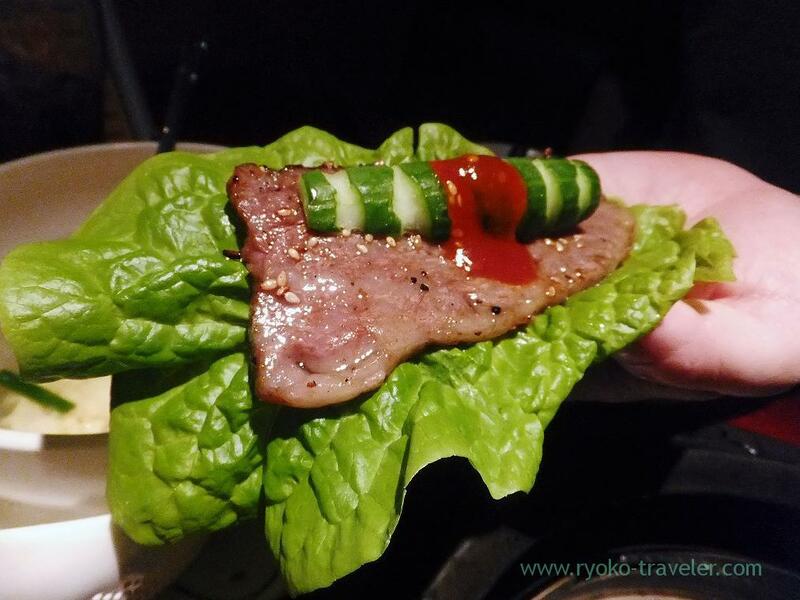 But there was no problem about yakiniku ! There are large variety of meal sets from 980 yen to 3000 yen. 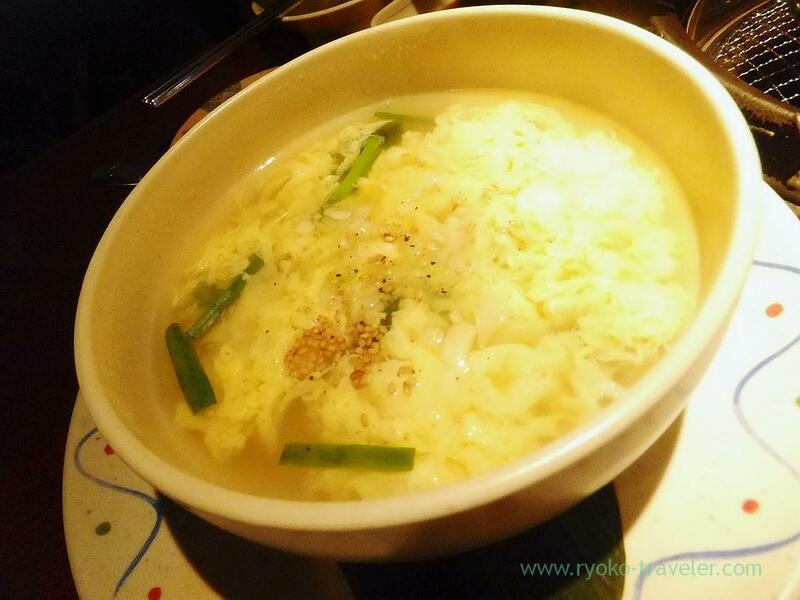 All-you-can-eat as 3500 yen. And gorgeous assorted Wagyu ! 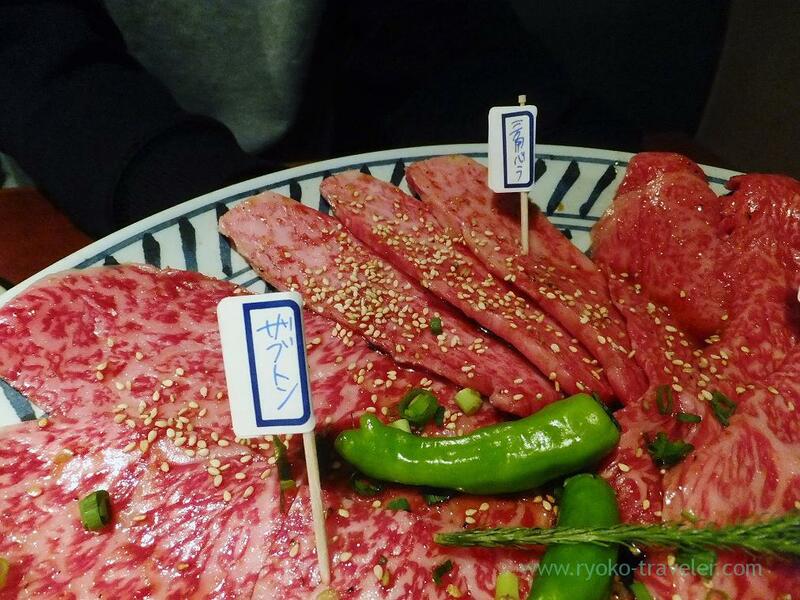 My acquaintance said there are valuable set menus and it’s good for yakiniku by one person. There are names of their parts on each papers.Chuck flap, diaphragm, chuck rib, top round and ribeye roll. 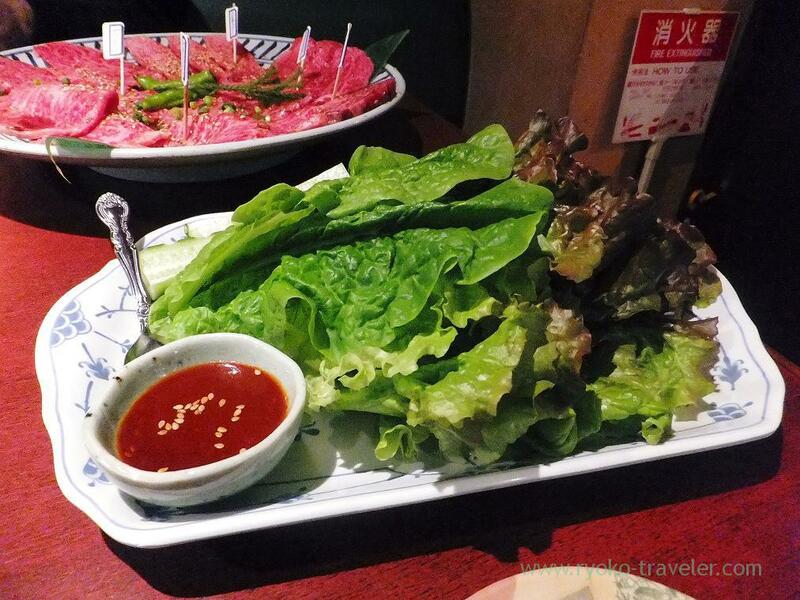 Yakiniku and Korean lettuce. Yes. We did it. Though the menu says this is good for three or four people, I think it is just for three people and should order another meat separately.